I saw Turangalîla the other night. The New York Philharmonic can really play. After the performance I was talking to some of the musicians and they were complaining about how loud it was on the stage and that they had to wear hearing protection. I asked what kind and they said "Oh, the yellow kind." I was like "What?" And they pulled out a pair and showed me. 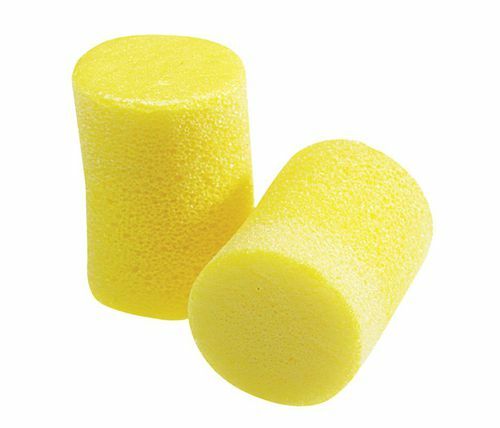 The cheapest, most awful, industrial earplugs are what they're using. I mean yeah, I'm fairly vigilant about steering clear of hearing damage and I do, in fact, carry three entirely different kinds of hearing protection with me. So I showed him my inexpensive "musician's earplugs" which are vastly more musical than the yellow foam things. One player pointed out that a thing about hearing protection is that they have to be able to put them in and take them out quickly. But even the cheap musician's ones have a thing you can grab to pull them out -- and the fact is you don't need to as much because your hearing is "flatter" than the high-end pillow the industrial plugs put in your ears (as well as the fact that you have to wait a moment to be sure they expand and start working). Etymotics makes the Music Pro, which are like the musical, active version of Peltier shooters earplugs. $300 -- so they're even pricier than the custom-molded passive ones. But for musicians they look pretty amazing. I'll tell you more when I know more.